This is our X'mas tree of 2007. 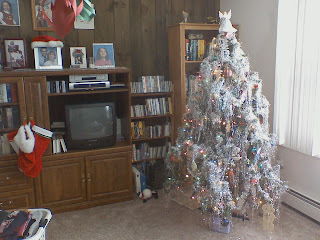 My kids decorated it this year, and as you can see, it's covered with tinsel! ** Picture taken with LG enV cellphone.